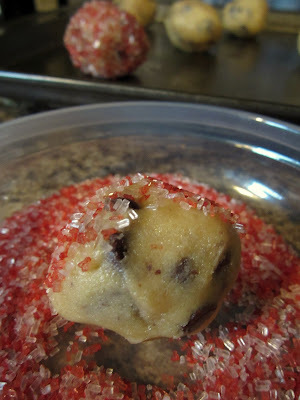 We decided to experiment with some red crystal sugar sprinkles (left over from Christmas) to transform Grandma’s amazing chocolate chip cookie recipe into a Valentines recipe. 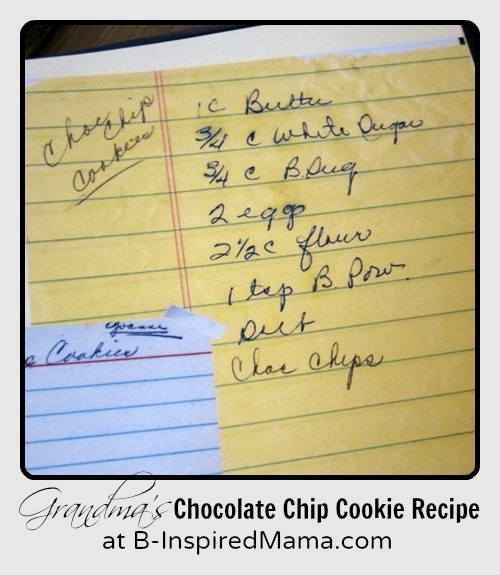 It’s super easy – just make any basic chocolate chip cookie recipe (or even buy it premade – I won’t tell), or use my Grandma’s simple recipe (in her handwriting above), and then roll cookie dough in the crystal sugar before baking. 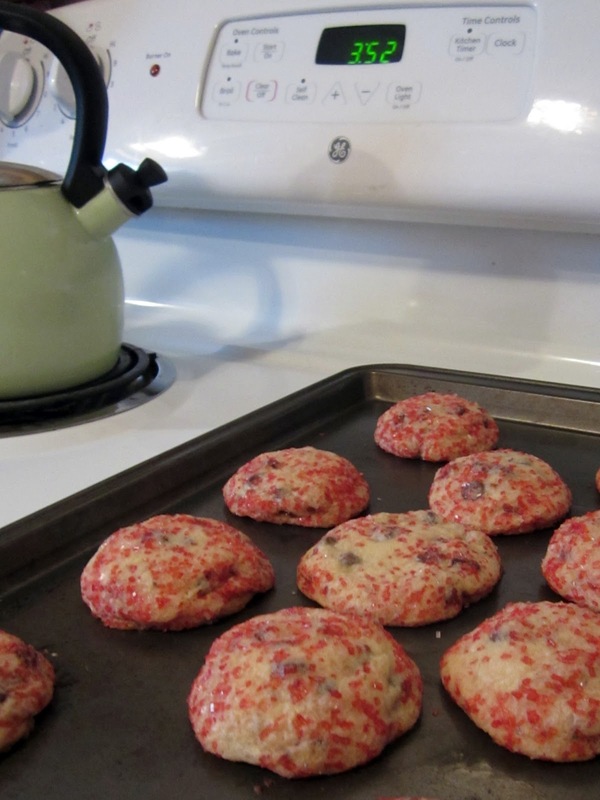 And you get Valentines Sugar Crusted Chocolate Chip Cookies. 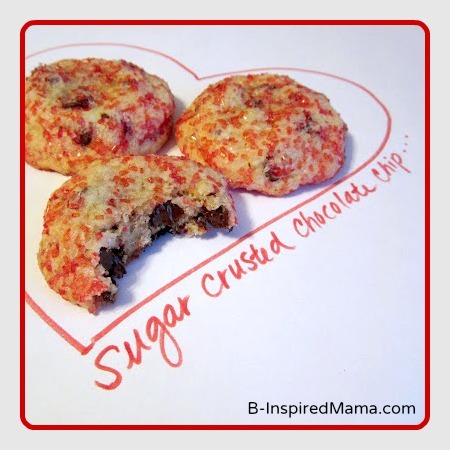 A perfect and EASY sweet treat for your little ones to help make. And you could make them in any color for any occasion or holiday by using different colored sugar. Pretty cool, huh? Do your little ones like to bake with you? 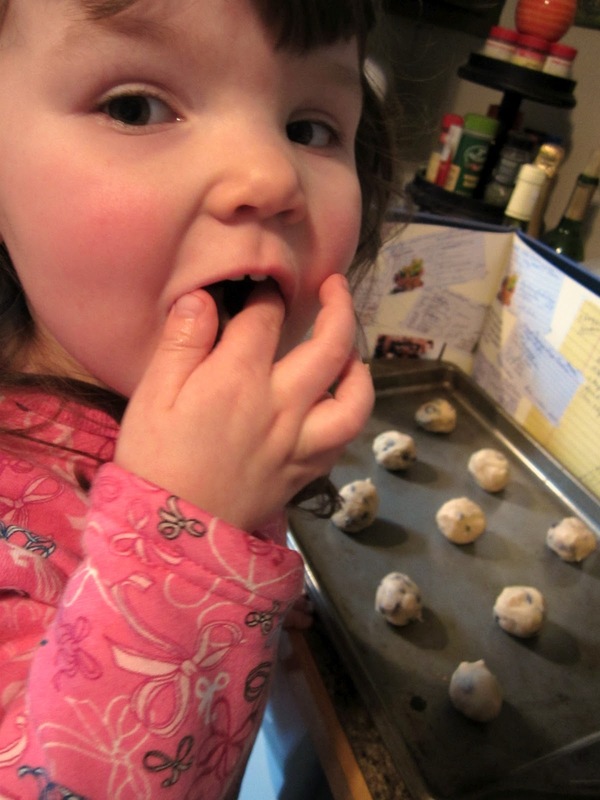 Do you let them eat the raw dough?